Yes, he played for the national team. 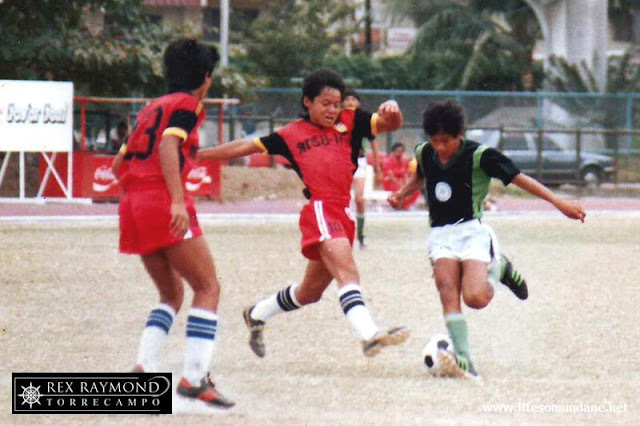 His first sortie for the nationals was with a youth squad that participated in a tournament in Hong Kong. Standing a mere 5’ 5” – and I am not even sure about the added inch – he once recounted to me how intimidating an experience it was to have to look up at the six-footer Koreans that he played against in Hong Kong. 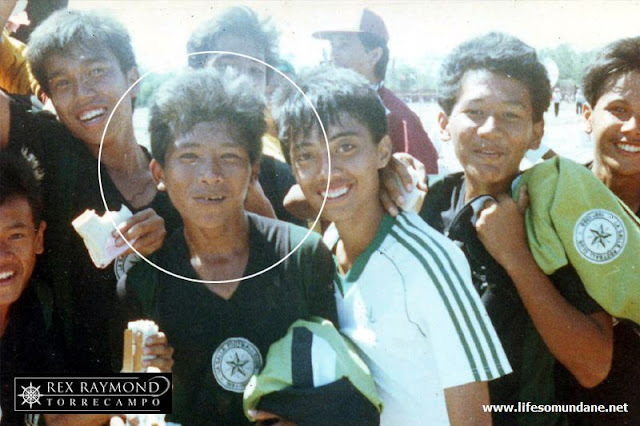 He was also in the national squad that participated in the SEA Games held in Manila in 1991; although he did not get a match. I brought my high school team to the Rizal Memorial to watch the Indonesia group match; but while we saw Tuteng warming up along with the other substitutes, we were disappointed that he did not get on. Still, it was a thrill for everyone in my team to see an alumnus in the national colours. In subsequent years, Tuteng did break into the full national team and represented the country in several international tournaments. 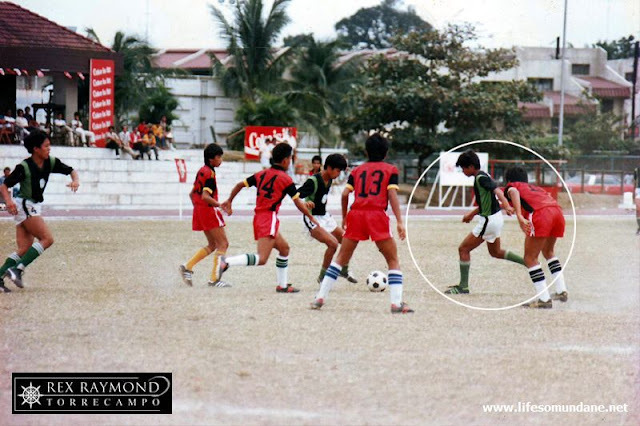 He also played for several local clubs in various tournaments organized by the football federation. Despite his successes, Tuteng never forgot his roots. 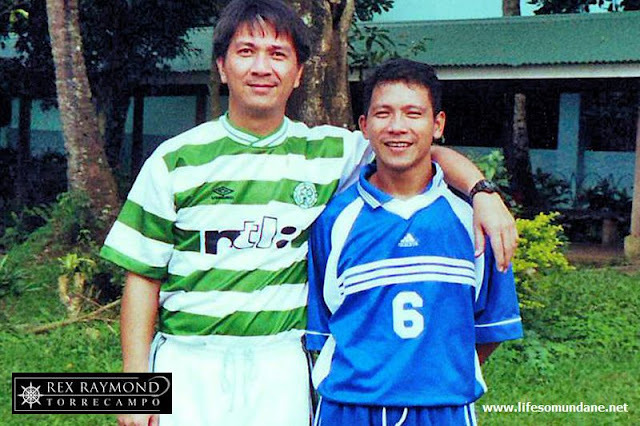 As long as he had no prior commitments, before he migrated to the United States he would always make it a point to play in the annual alumni reunion game that we held every end of December. To the youngsters in the high school teams down the years, he was an inspiration. It was a privilege for them to be on the same pitch as Tuteng; and each would go home at the end of the reunion game enriched by having seen the close ball control and the range of skills and passing that made him a national player. Yet, I was always of the opinion that neither his college team nor his various clubs ever saw the best of Tuteng; or even fully discovered how to properly use him. The football in Manila made him quicker and stronger, which was perhaps only appropriate for the type of game played in that city at the time; but it did not fully utilize his excellent short-passing game. In the high school team for which Tuteng played, he was the fulcrum around which the entire system revolved. This was a system that built attacks from the backline and for which the ball was weaved from one player to another in an intricate short passing game played primarily on the floor. Tuteng was the one who frequently collected the ball from the defensive line and got everyone involved with short neat passes played to feet. Although primarily a midfield general, Tuteng was also a lethal goalscorer. He could shoot and finish with either foot; and for somebody not at all blessed with height, he was also an excellent header of the ball. It was this lack of height, perhaps, that handicapped his involvement with the national team. But then, this was before the arrival of the so-called Fil-foreigners; and the entire team was similarly handicapped. That is why it intrigues me ever so much to even contemplate how Tuteng would have fared in the current national team. Chieffy Caligdong offers a point of comparison. The Air Force winger has been sensational in grasping the opportunities at hand playing in a team that enjoys an advantage in physique over most of our Southeast Asian neighbours. Tuteng is about the same height; and in his prime used to enjoy an even broader physique. Every football team can make room for smaller players. They have the advantage when ‘playing along the carpet’ that makes it difficult for taller players to dispossess them. However, an entire team made up of small players enjoys no advantage at all. That is why, to my mind, Tuteng – like Caligdong – would have benefited both psychologically and physically from the protection offered by more physically robust teammates. In the current national setup, Stephan Schrock and Paul Mülders when available are preferred in the attacking midfield role. In the absence of both, the midfield has an abject lack of creativity. Tuteng, with his excellent peripheral vision and awareness, would have prospered playing just behind Phil Younghusband or the newly acquired Dennis Wolf. He would know when to come down to the defenders to pick the ball up; and instead of spraying predictable long balls forward, he would bring everyone into the game. That was how he used to orchestrate his high school team in the past; and the way he effortlessly glued the passes together was obviously the work of a genius. Often, all I could do watching the team play was to sit back and admire the work of art. The football could really be breathtaking. I first met Tuteng when he was a Grade 6 student wanting to join the team. I still rate him to this day as the easiest player ever to teach in three decades of coaching. He learned every new skill so quickly that we were soon moving on to the next. 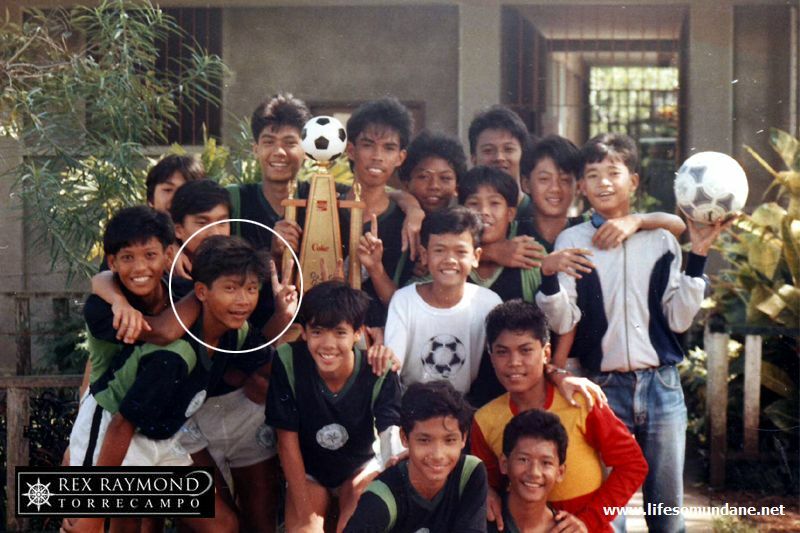 That early, I already knew that the tiny little boy was destined for the national team. After graduation from high school, Tuteng went on to play varsity football for DLSU-Manila. The coaching staff there first saw him play when I brought a team made up of 15- and 16-year old kids to play the university’s ‘B’ team. We demolished our hosts, 6-2; and Tuteng scored four of our goals. He was already being cajoled by the university’s ‘A’ team players – they watched on the sidelines – before we boarded the vehicle for the ride back home. How time flies, indeed! If only I could have held it back for Tuteng so that I could have had the pleasure of watching him with the current set of Azkals. Alas, as with so many of my other players, football’s time in this country came a little too late. Our only consolation is that, at least, it did come. I, for one, never thought that it ever would.